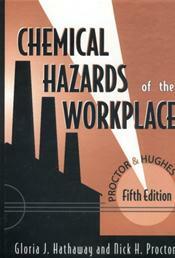 My friends in the field of occupational health and safety often ask me to recommend books. Which books do I really need? Which books should I have? Which are the best books on a particular topic? Sometimes, I hear all three questions from the same people, as their need for information grows and changes over time. The three lists of books here are my answers to each of those questions. These lists are based on my own experience and on the collective wisdom of my colleagues, our authors and editorial board members, and, most importantly, our customers. I hope the lists that comprise the OEM PROFESSIONAL LIBRARY will help you build your own library of occupational and environmental health and safety... book by book. As demands for a safe and drug-free workplace grow, federal requirements and a burgeoning work load require that many medical review functions be carried out by Medical Review Officer Team members. This useful, up-to-the-minute manual has been created to help prepare MRO Team Members for certification and to keep the entire MRO team operating at a peak level of professionalism and efficiency. Offering a complete view of the medical review process, the Medical Review Officer Team Manual covers business, scientific, legal, ethical and logistical issues. Eighteen appendices and charts address every different function MRO Teams are required to perform. Here are the practical tools and guidance today's health and safety professional needs to effectively design, develop, manage, and evaluate health and safety programs. This popular, practical guide for health and safety program managers has been revised in response to the recommendations of readers and faculty at graduate education institutions. The title has changed because users noted that the book's usefulness extends beyond environmental and occupational health and safety, offering information not usually emphasized in general health and safety training. Readers in all types of health and safety programs will find the current edition indispensable in enhancing their communication skills, time management capabilities, and abilities to gain support from decision makers and other senior managers in their organization. The material can be applied immediately to the reader's own job situation, a focus that has made the book uniquely valuable. For the first time in one convenient resource all the information you need to set up, conduct, and audit a program for the medical evaluation of workers for respirator use. You have a short time to read and evaluate a journal article in an area that's vital to your practice, yet is filled with terminology you haven't come across before, haven't used in years, or is only vaguely familiar. What's the most efficient way to accomplish the task? Turn to Judith Green-McKenzie's time-saving guide. It offers a step-by-step approach to dissecting an article, a glossary of commonly used terms, methods for evaluating the validity of the results presented, and much more. Provides toxicology data on chemicals that may be encountered in various work settings. Written for health professionals, introductory chapters cover toxicological concepts, clinical manifestations of exposure, the diagnosis of occupational disease, and industrial hygiene aspects of chemical exposures. The book moves on to cover more than 625 alphabetically arranged entries on individual compounds. This new edition includes updates and revisions of more than 600 entries and adds monographs on new compounds. PRINT & E-BOOK AVAILABLE NOW! The most up-to-date resource for workplace drug testing and the best possible preparation for the MRO Certification Exam. Written by a Medical Review Officer with years of experience "in the trenches", this clearly organized and indexed manual has set the standard of performance for MROs. The Medical Review Officer's Manual is a guidebook for everyone responsible for providing workplace drug and alcohol testing services. 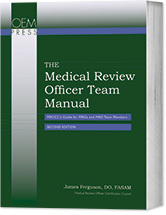 It offers practical instruction in exactly how to provide services and is an indispensible resource for new Medical Review Officers (MROs), experienced MROs, physicians training to serve as MROs, occupational medicine physicians, occupational health nurses, forensic toxicologists, third-party administrators, and employer health and safety professionals. An Essential Resource for DOT Medical Examiners - Thoroughly Revised and Updated! First published 20 years ago, this now classic guide to the DOT medical examination by Dr. Natalie Hartenbaum has been thoroughly revised and updated. The Sixth edition of this invaluable handbook collates the most recent "official" guidance from FMCSA, recommendations from FMCSA advisory groups (that have not been formally adopted), and the medical literature, and clarifies many of the confusing issues that have arisen from the NRCME. Completely revised and updated, this title combines under one cover the latest information available to assist DOT medical examiners in evaluating a commercial driver's fitness to drive. The DOT Medical Examination gives you all the information you need to conduct an efficient, accurate examination of a commercial driver. Biological monitoring is a complex and sometimes daunting area of occupational and environmental medicine. 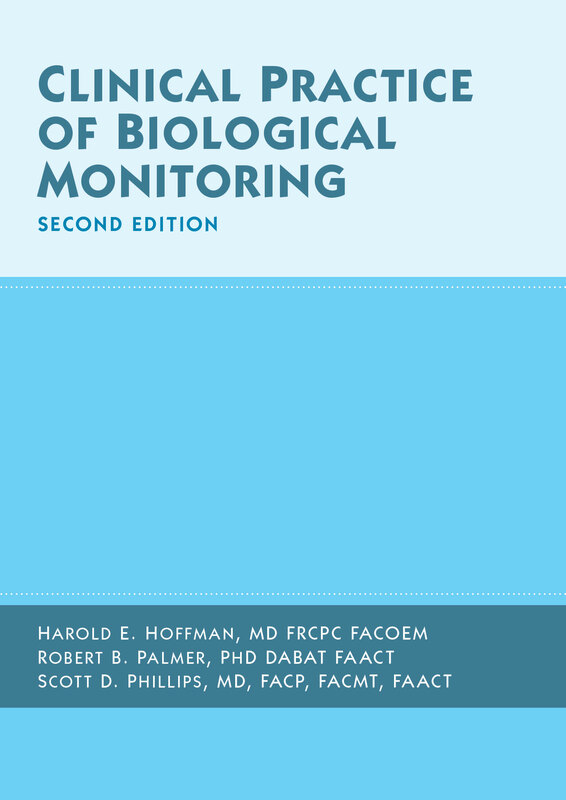 Clinical Practice of Biological Monitoring, Second Edition provides a clear path for the intricate task of selecting the appropriate laboratory test, the most relevant matrix for testing, or the most informative analyte so as to best interpret a chemical test result for clinical relevance. Devoted to a single chemical, each chapter contains a quick-guide table indicating the best analyte, the best matrix, and a level-of-concern value for the substance. Further, the book identifies chemicals that cannot be measured directly, thereby allowing for time savings and avoidance of unnecessary testing. Ten new chapters and updated First Edition chapters, elucidate exposure to chemicals now contemporaneous with commerce or public health. Small enough to carry in your pocket! Determining what test to do for an individual chemical exposure need not be a challenge. Refer to your pocket consultant, Clinical Practice of Biological Monitoring, Second Edition, for concise guidance on monitoring exposure to chemicals.